Please visit http://terravali.com/06SL50044k to view 300 pictures of this car, original factory specs, carfax history report and all other details you may need to make an informed decision. 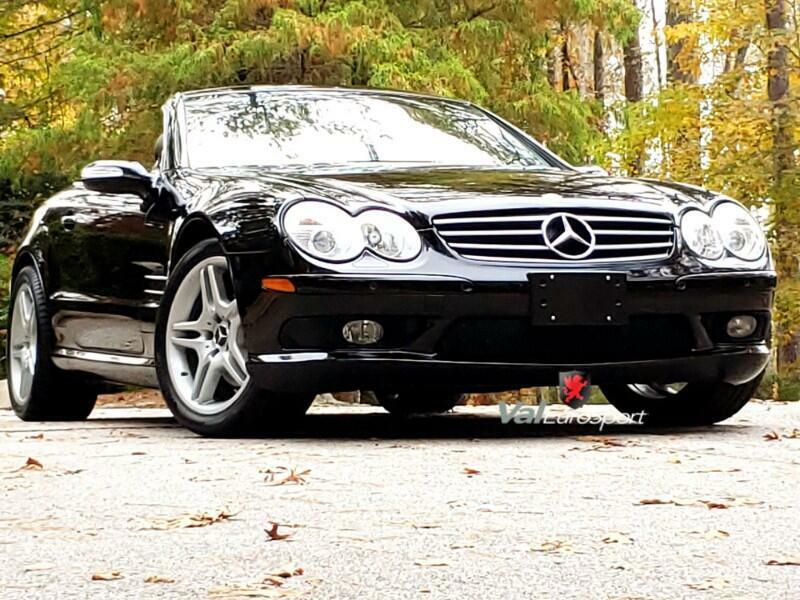 Beautiful color combination for this body style SL500 convertible with just over 44k miles: Black on Charcoal leather. Unmolested, well preserved car with the rare Sport Package, Front and Rear parking sensors, Panoramic Roof, Convenience Package, Multi Contour Seats, Massage Seats, Keyless GO, and XENON lights. Have all records and factory option list. Won't last at this price! Call Val now at (919)624-3033 and set up a time to come by and test drive this car. We specialize in hard to find, low mileage 2001 through 2006 Jaguar XK8/XKR convertibles and coupes, as well as 2006 through 2009 Jaguar XJR/ VandenPlas / Super 8/ Super 8 Portfolio. Give us a call and we will make sure and find your dream car for you.